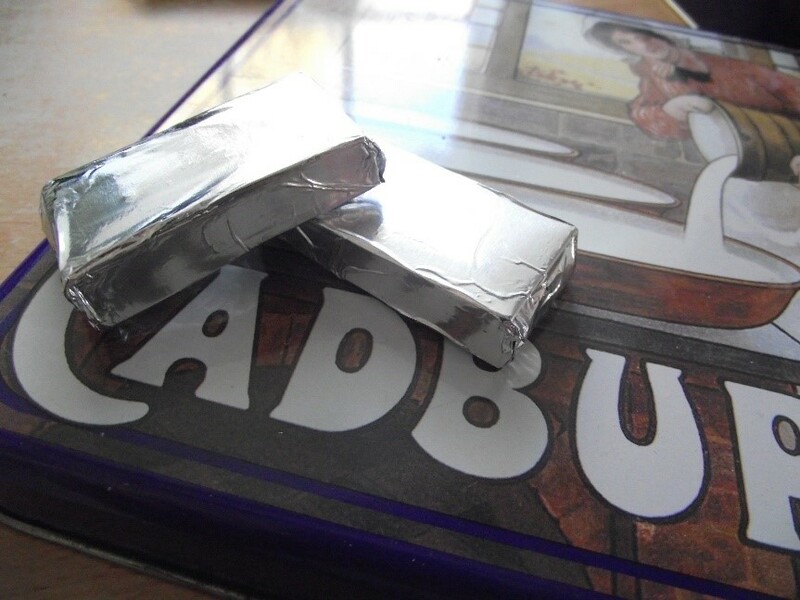 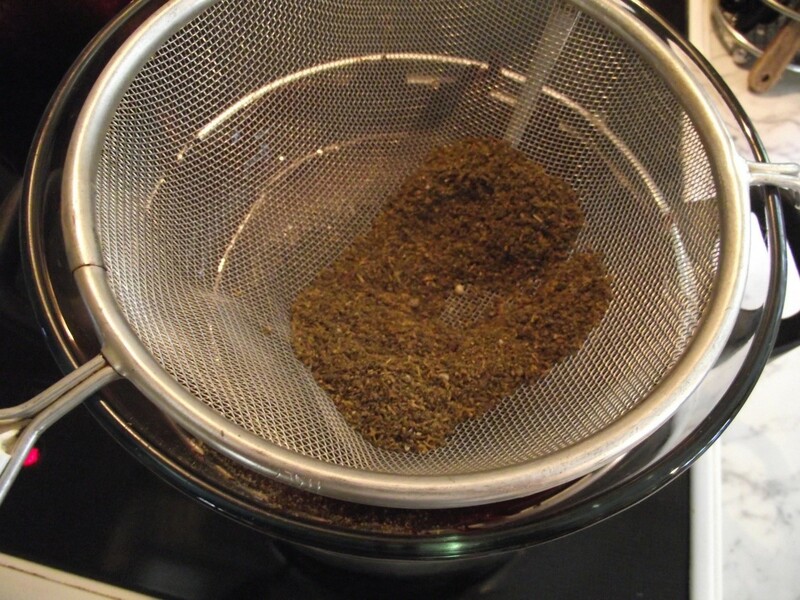 Dry 20 grams of good bud in an oven between 100C and 110C, do not let the temperature exceed 110C. 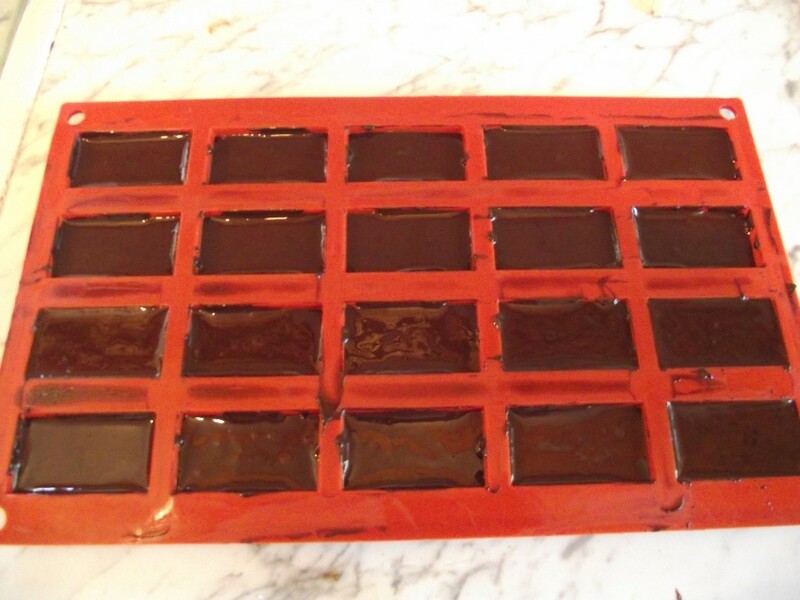 Melt 200 grams of dark chocolate with a high cocoa content. 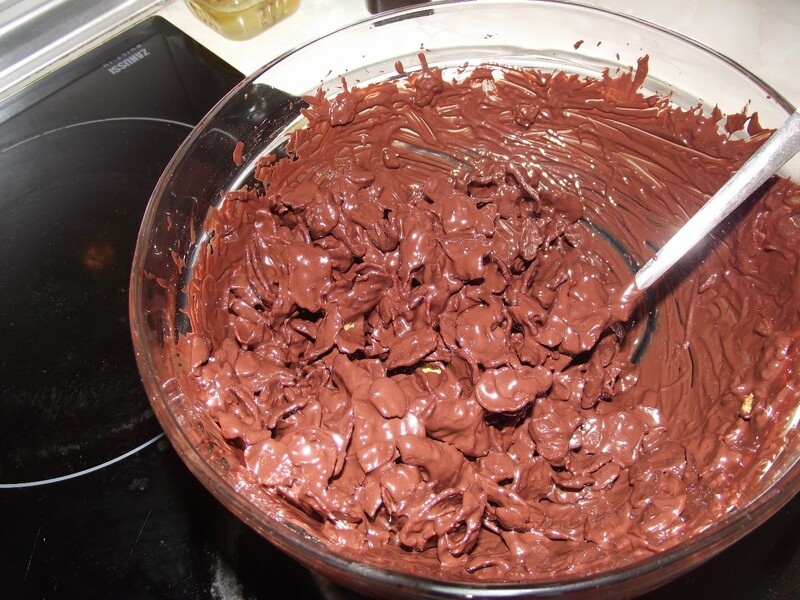 Melt slowly, no direct heat! 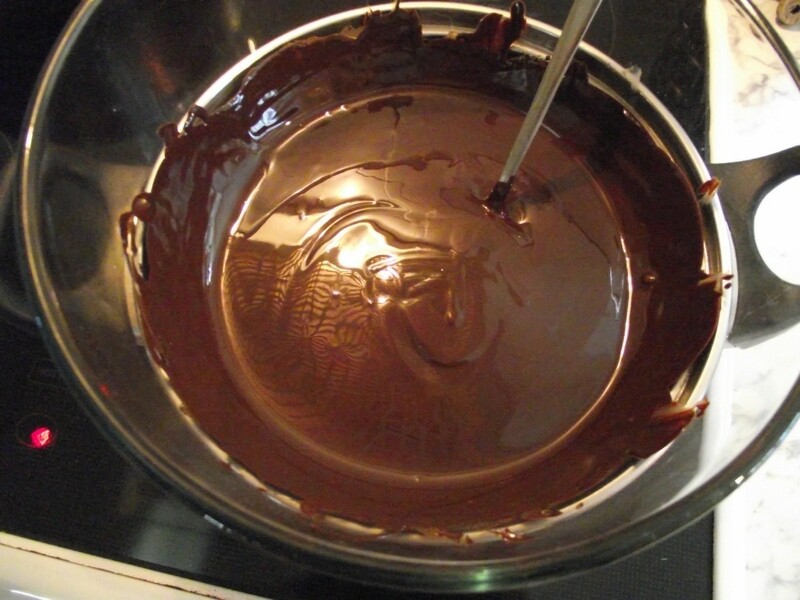 Create a ‘double boiler’ by placing a large Pyrex glass bowl over a pan of simmering water, the steam will gently melt the chocolate. 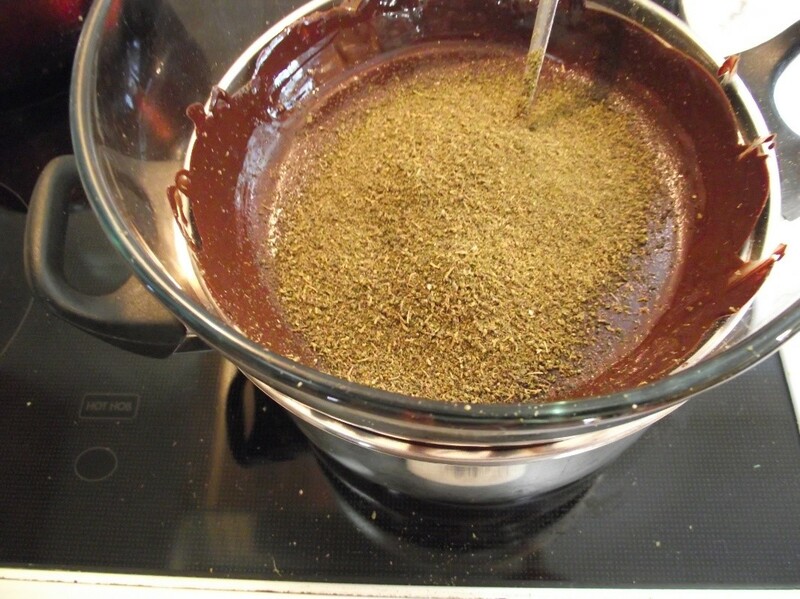 When the chocolate has fully melted, stir in the finely ground decarboxylated bud. 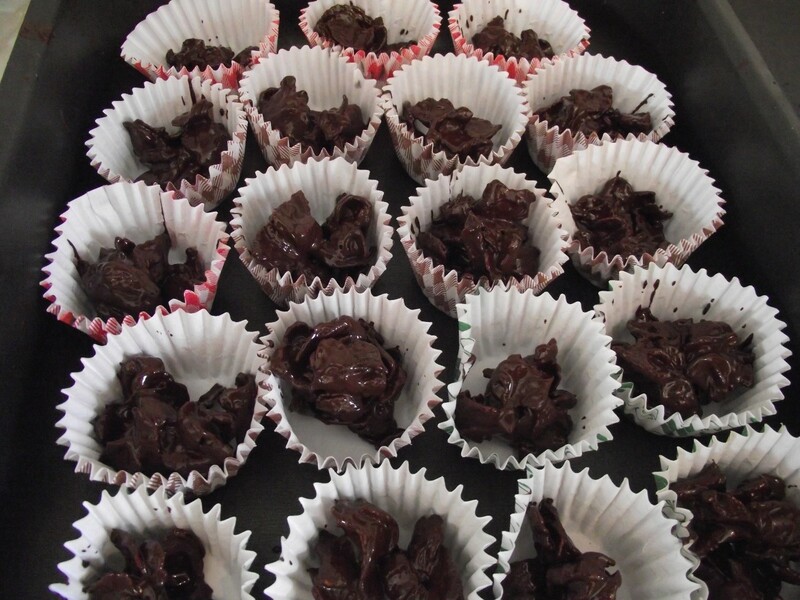 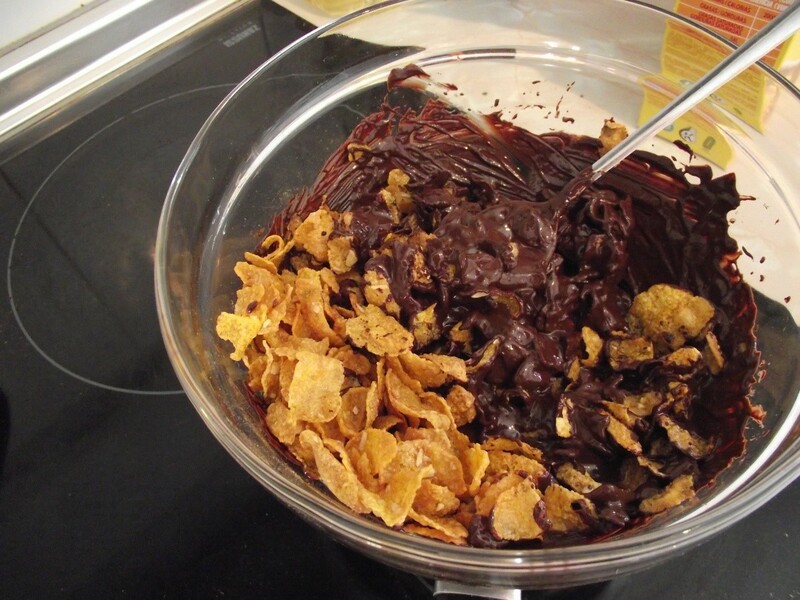 Add some cornflakes to the canna chocolate, for a special treat use honey or crunchy nut cornflakes.